Are you on the holiday mood already? 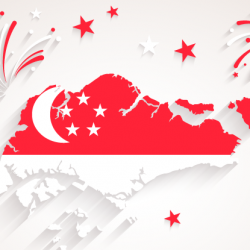 Remember to celebrate National Day with Sufood as you can enjoy TWO Set meals at the price of $50 NETT! Only limited to customers who present our calendar coupons at Raffles City outlet! 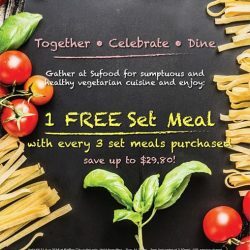 Gather your friends and colleagues for an awesome and wholesome lunch at Sufood from today onwards as you can enjoy 1 FREE Set Meal with every 3 Set Meals purchased! Valid for lunch-time only till 31 Aug.